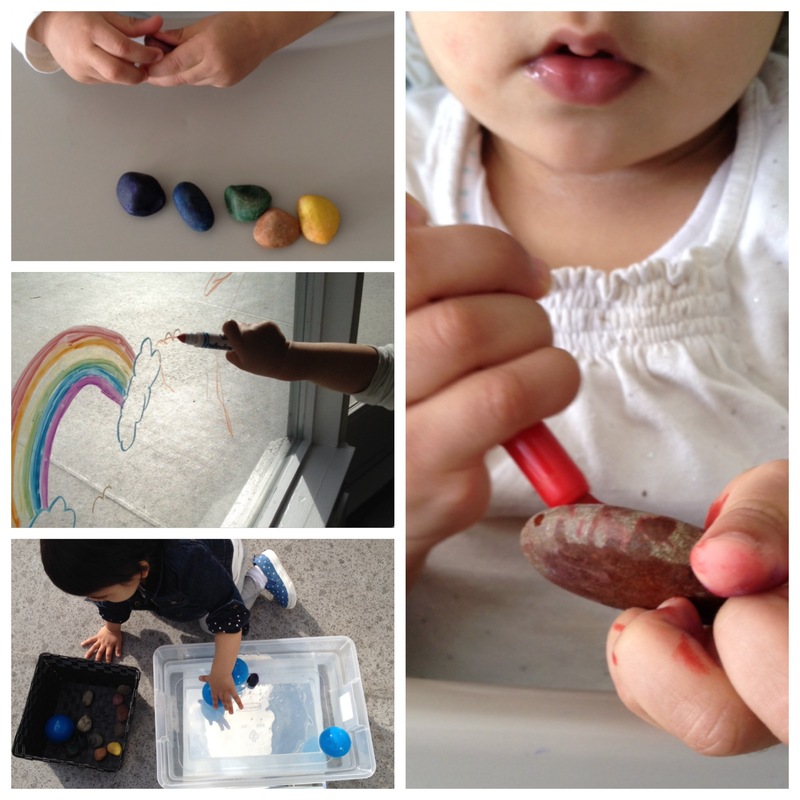 During R’s first time using markers, we made some rainbow coloured rocks. We added to the sensory experience by using scented markers! 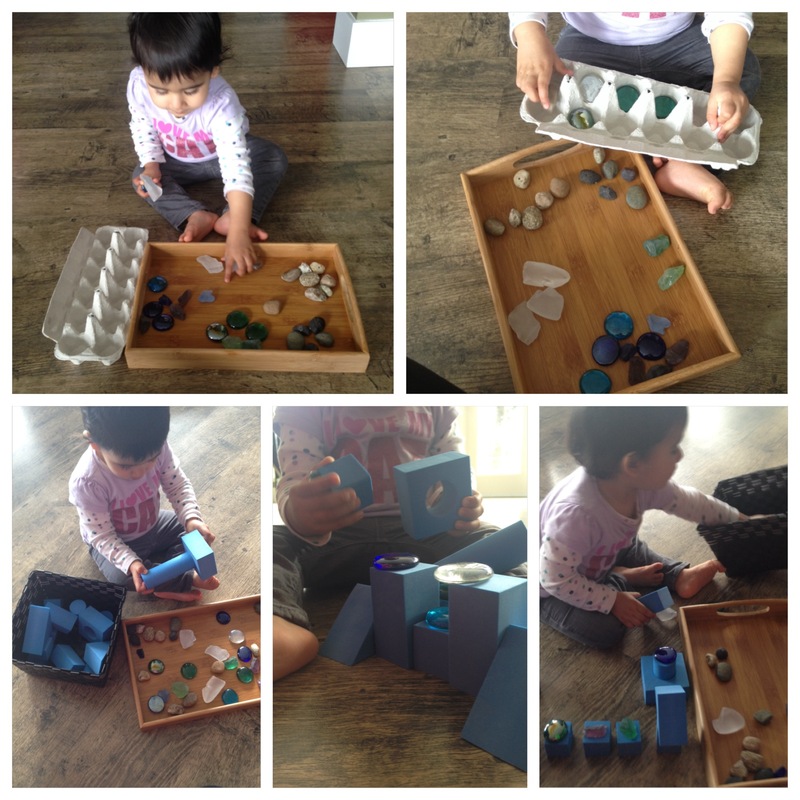 Watching R colour the rocks gave me a great insight into the growth in her fine motor skills. It was quite the feat to hold a small rock in one hand and colour it using a marker with another! 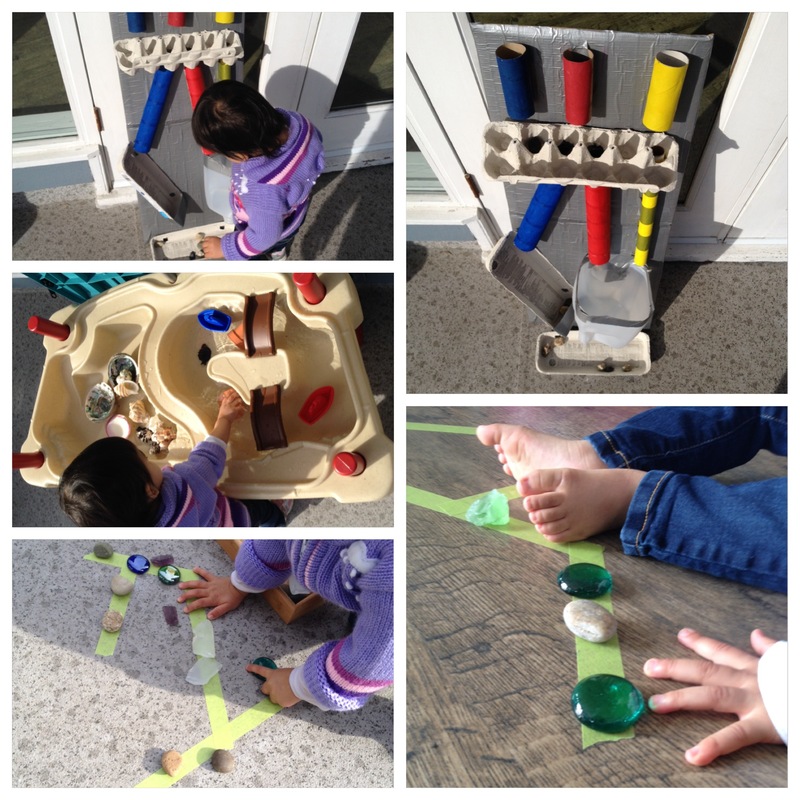 We continued with rainbows and exploring markers by making rainbows on the window. Well, I made a rainbow and R made rainbow coloured strokes! With the day turning out beautifully, we took the opportunity to do some water play. 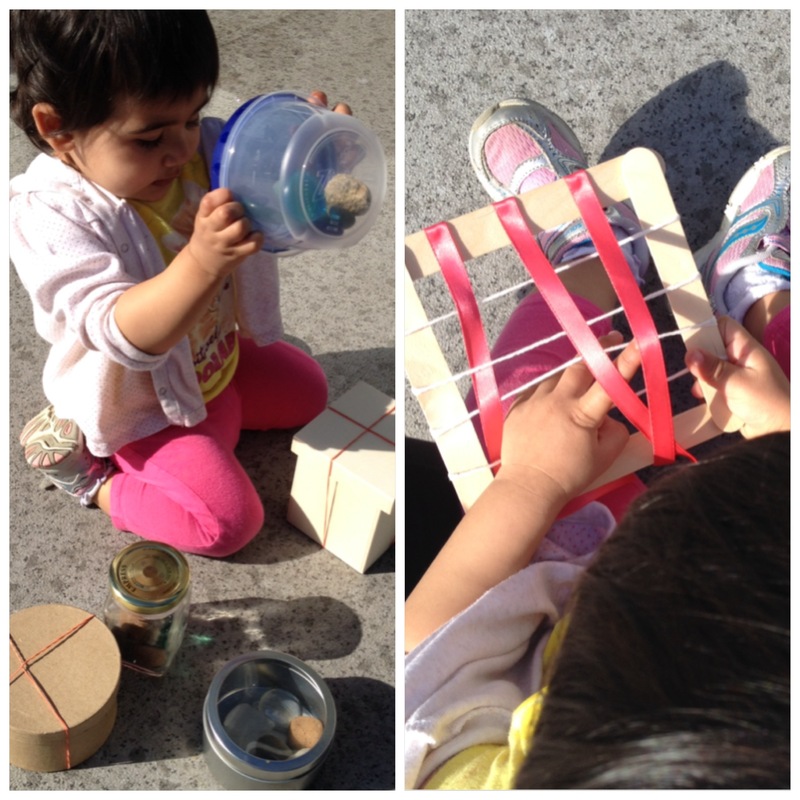 Although the concept of floating and sinking is beyond R’s current developmental level, it’s still a great activity to explore hands-on. We used the coloured rocks and blue balls in the water. I used the positional words up and down to describe the location of the balls and rocks for R. We also enjoyed watching the colour wash off the rocks!